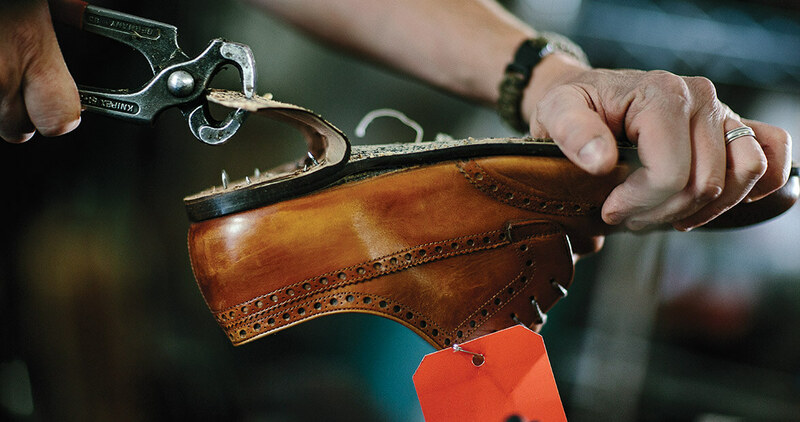 For more than 30 years, cobblers at Man Mur Shoe Shop in Raleigh have given new life to everything from dress shoes to cowboy boots. Man Mur Shoe Shop is a crowded rabbit warren of shoe boxes and racks of shoelaces and socks and shoe polish and insoles, and there are only two aisles, if you want to call them that. On an otherwise unremarkable Friday morning in one of those aisles, shop owner Stephen Cash is helping a woman who has plantar fasciitis and needs shoes that will help her stay on her feet for three or four hours at a wedding this weekend. The issue is that she doesn’t want them to look like those kind of shoes, and you know what she means. She wants shoes with style that will turn heads. Cash is 54 years old, and he has worked here since 1982, when his “Mama and Daddy” bought the shop across from NC State University that had already been a Raleigh institution for nearly a quarter-century. The woman was already a bit embarrassed when she walked in — who wants to gab with a complete stranger about a pernicious foot malady? — but Cash was out from behind the counter in a flash, steering her away from the front-of-the-shop commotion and toward rows of Danskos, Clarks, and Sanitas that teeter like oversize Jenga towers. Now it’s just the two of them, chatting like old friends, nothing to worry about. The lady nearly blushes with gratitude. Cash doesn’t even realize what he’s doing, this graceful moment of customer service. Ten feet away, in the other aisle, Lizanne Butner, who’s been at Man Mur for 15 years and has honed an expertise in fitting ladies’ shoes and boots, has a different customer vibe going. She’s spread a black T-shirt flat on a counter, and is assembling various patches on the shirt under the watchful gaze of two biker types. These guys sport clean black leather motorcycle jackets, subtle neck tattoos, and trim goatees, all of which suggest that despite their tough-guy veneers, they’re likely taking a break from day jobs as software engineers. They fuss over patch placement like a couple of dance moms before a big event. Biker No. 1: What do you think, man? Biker No. 2: Could you move that one up a little bit? Butner shifts the patches maybe a half-inch. Biker No. 1: Yeah, I like that. Definitely better, man. The owner of the cowboy boots that are being brought back from the dead at the neighboring Man Mur workbench will be tickled, too. 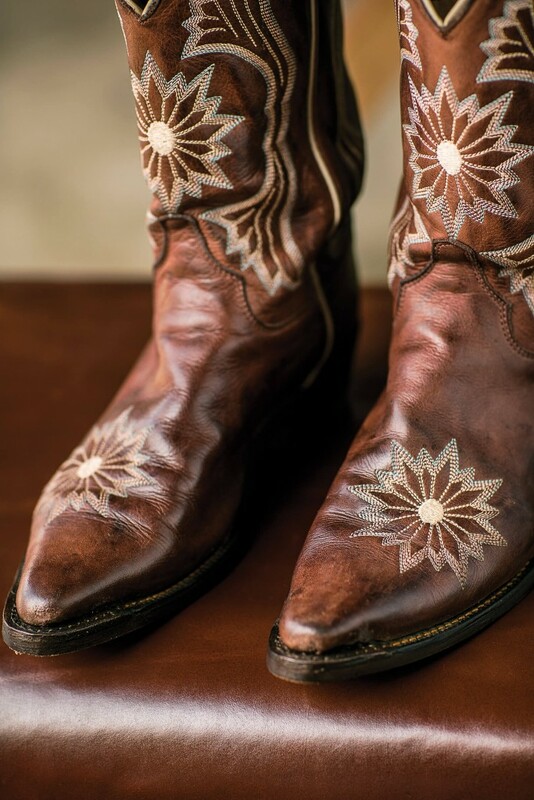 Some people would have tossed these boots years ago. The heels are half-gone; the soles have disintegrated into a mush of busted stitching and flopping flaps of leather. Massey laughs when he looks at them. 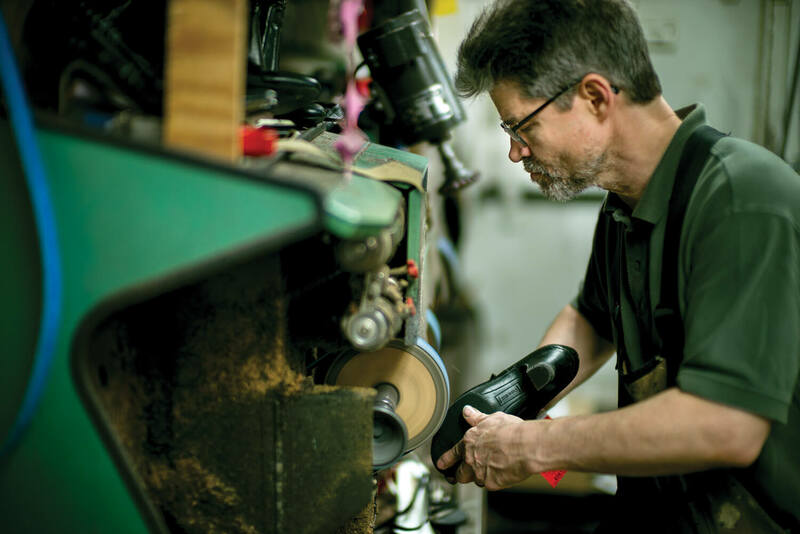 “There’s holes in there you could throw a cat through.” Tony Hernandez is custom-cutting the various pieces and parts that make up the sole of a boot — welt, midsole, outsole, insole. A year and a half ago, Hernandez was still living in Honduras, celebrated as an old-world shoemaker, but hankering to join his son, a firefighter in Durham. 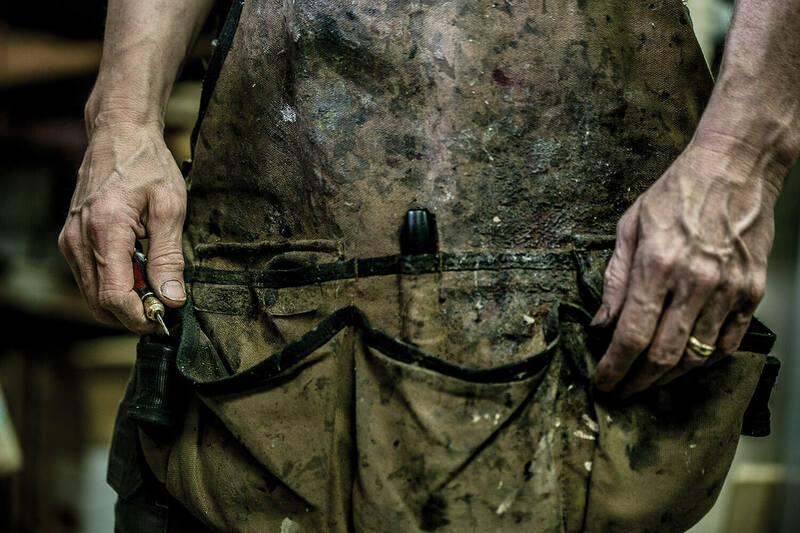 Now, he smiles and laughs and pounds a leather welt into shape on a cobbler’s bench not unlike the one he left behind. The original Man Mur was part of the ManMur Bowling Center. Built in 1939, it was the first commercial building in what was still a residential strip of Hillsborough Street. The bowling alley took its name from its geographic location: midway between Manteo and Murphy, give or take. It anchored a small strip center that also hosted the ManMur Barber Shop, ManMur Soda Shop, State Beauty Shop, and ManMur Shoe Shop. In 1959, the Bowling Center burned to the ground. And although a new bowling alley rose from the ashes — Western Lanes, which is still open — the old shoe shop and barbershop moved to a new, small, strip building a couple of blocks down the street. But the world around Man Mur seems more different every day. Hillsborough Street is in the midst of enormous change. Some call it a renaissance or rebirth. There are new raised medians and buried utilities. Roundabouts and snazzy lighting. The procession of repair jobs this morning is unrelenting. There’s a steady parade of college students with Wallabees that need a little rack time on the stretchers, or penny loafers blown out by one too many beach-music festivals. More than one husband shows up to pick up his wife’s repair job, a blank look on his face when asked what the shoes look like. And it’s not just shoes that find new life at Man Mur. Just a few weeks ago, they worked on a gigantic leather collar used to affix a GPS unit to an elephant’s neck. Yes, an elephant’s neck. The research was being conducted by an NCSU biologist. Once, a customer needed the grommets replaced in a 40-foot-long sailboat mast. A 40-foot-long sailboat mast. He backed his truck up to the front of the shop and ran the mast into the store. It reached from the front door to the back counter. “Maybe we should have said ‘no’ to that,” Massey laughs. With the end of the morning in sight, a man comes through the front door with a familiar look on his face: distraught, desperate, a little panicky. He’s holding a Y-Guides princess vest — the suede leather uniform of the venerable father-child program run by the Raleigh YMCA. Butner meets him at the counter. She’s seen this a thousand times. Just like that, this man’s panic vanishes; his day brightens. When he gets home, his daughter will tell him that he’s the bestest daddy on the entire planet earth.